When nets are used in a way that allows a particular fishery to maintain/sustain itself there are no problems. At what point however, due to increases in technology, proficiency, number of participants, and numbers of fish taken,do the consequences outweigh the benefits? It doesn't make sense to view nets as good or bad when the other variables listed are what have changed so drastically over the years. From personal observations, and I say that because everyone has their own observations, it seems like more and more guys over the past couple years have been working the laynets. Legally and illegally. Very rarely do we see enforcement of existing laws. 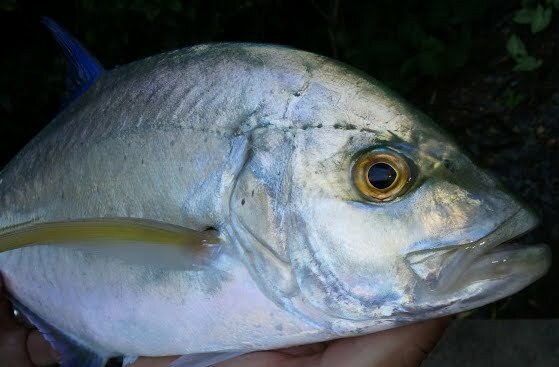 From ulua/papio stocks, to oio, awa, mullet, and reef fish, there seems to be a noticeable decline. Mountains of weke scales on a consistent basis at multiple locations seems to indicate a significant amount of adult fish captured and taken out of the breeding pool at one instant in time. Anyone run into a big pile of oama in town yet? It's almost August! I know there are still places with solid stocks of fish, but it just SEEMS that the past years have been slimmer and slimmer. Again, this is just a hypothesis. Making a prediction based off of observations. I dunno... Sometimes it seems like one line, one hook, one fish at a time is the way to go. Can't catch um all that way. Anyway good luck to everyone! Maybe I'm just sour grapes cause I went looking again for oama yesterday and never found nutting. If the middle of August is going off, and town and all over is loaded, I'll revisit the hypothesis! Late is better than never. We'll see. Aloha. I'm with ya. I was whippin in my kayak last week and found a big school of, I think, either papio or lai tearing up some bait fish at the surface. I stopped the yak and fished the area for a few (hooked one but lost him trying to get him in the boat ). After about 10 minutes I noticed two different boats full of nets move over to the area and just hang out waiting on me to leave. Not trying to be overly judgmental, but when I spend all day just hoping to catch 1-2 fish to take home for my family, and then think about the entire school getting wiped out by nets it's kinda sad.